Anthar Kharana, Colombian Shaman - An ancient wisdom from Colombia in the land of the Condor, Mambe and Ambil are the sacred union between heart and mind, feeling and thought. For the natives of the Andes, “Hayo” is one of the most respected plants which represents a direct connection to our Mother Earth through different practices and one of them is the Mambeadero where Mambe medicine is used. However, Mambe is never used without Ambil which comes mainly from the Tabaco plant, a plant that holds the entire wisdom of the Americas, from the Land of Fire in Chile all the way up to Canada and it connects us with the heart of the Sky, the heart of the Father. Together, these two plants represent a mystical blend of the Mother and Father within us. In this talk, Anthar Kharana, native from Ocaña in the north of Colombia, territory of the Muisca people and strong warriors Hacaritama, will be sharing traditional stories about its uses as well as sharing a sacred wisdom and songs related to the different medicines that come from the Tabaco plant, its relation to the medicine wheel and how it can take us to the center of the spiral of our ancient origins. 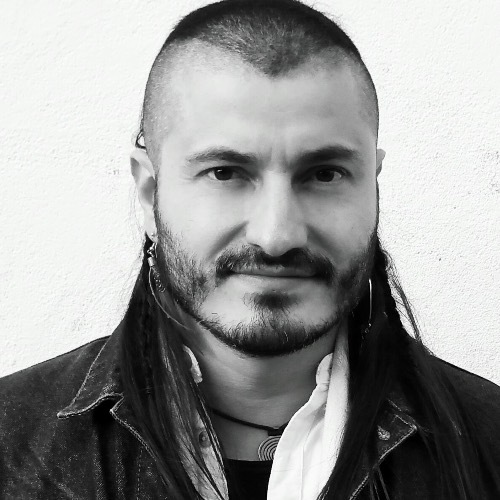 Anthar Kharana is a medicine man, musician and international sound healer from Colombia. He comes from a long linage of musicians in his family and is also a guardian of traditions and medicines of the Americas. He is guided by wise Elders from his Homeland from an early age, carrying their words alongside his work worldwide. As a Sundancer, Chanupa (Sacred Pipe) and Inipi or Sweat Lodge guardian, Anthar is one of the Sons of the alliance of the Eagle and Condor Nation, a New Nation united by the agreement of the Elders of the North and South America to become One.